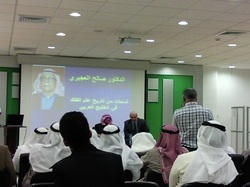 A public talk was given by Dr. Saleh Al-Ojairee from Kuwait - famous for his "calendar". The event was arranged by the Bahrain Astronomical Society and took place on Thursday (Dec. 23) at 7:30 pm in the Arabian Gulf University. Dr. Jean-Jacques Favier in Bahrain! The university of Bahrain, College of Science has sponsored a space workshop on March 7-11, 2010. 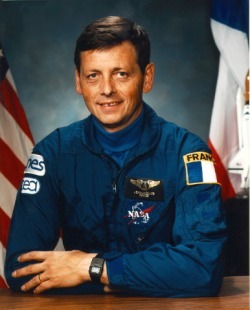 The French astronaut Dr. Jean-Jacques Favier who spent 16 days in space on board STS-78 Columbia (June 20 to July 7, 1996), gave a a lecture about his experience in space and the "Future of Space Exploration". The workshop ended with a discussion session where two teams worked on budget proposals and presented their work to the course faculty for assessment. 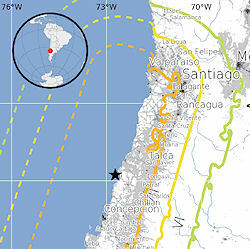 Pictures of widespread devastation leave no doubt: Last month's 8.8 magnitude earthquake in coastal Chile was strong. How strong? NASA scientists say it might have shifted the axis of Earth itself. "If our calculations are correct, the quake moved Earth's figure axis by about 3 inches (8 cm)," says geophysicist Richard Gross of the Jet Propulsion Laboratory in Pasadena, California. Read more HERE. Einstein Was Right: General Relativity Confirmed! 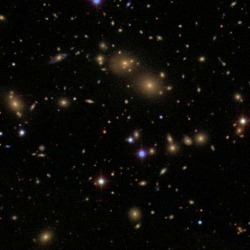 A new study has confirmed Einstein's theory of general relativity works on extremely large scales. The study was one of the first rigorous tests of this theory of gravity beyond our solar system. 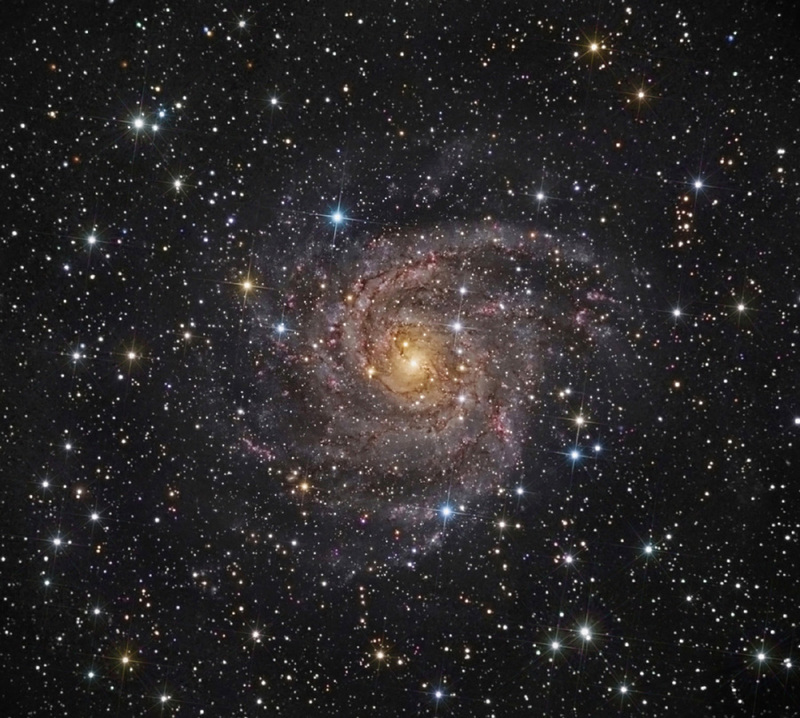 The research found that even over vast scales of galaxies and clusters of galaxies, the equations of general relativity predict the way that mass pulls on other mass in the universe. Read more HERE.